On January 24, 2018, the government of Puerto Rico presented a revised fiscal plan for the next five years. But the Fiscal Oversight and Management Board (FOMB) has ordered the government to revise the plan and to provide more details and changes to the fiscal plan of the central government, PREPA, and PRASA. Under PROMESA, the government of Puerto Rico needs to submit a fiscal plan that seeks to balance the budget and open the territory to capital markets. In 2017 the FOMB approved a fiscal plan for the next ten years. But after the impact of Hurricanes Irma and Maria, the FOMB determined that a new fiscal plan was needed that took into account the new realities of Puerto Rico. The new fiscal plan looked to rebuild Puerto Rico and improve Puerto Rico’s economic growth through structural changes, and through the expected allocation of federal funds and the encouragement of private investment. 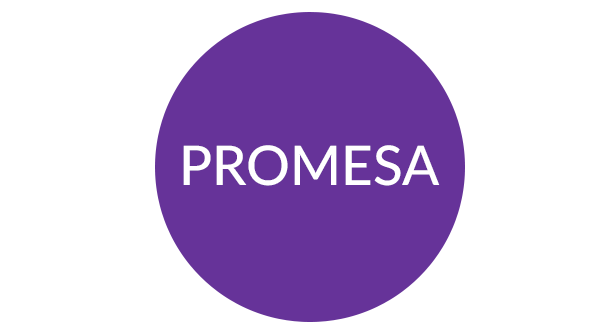 But the proposed fiscal plan does not take into consideration Puerto Rico’s debt, and it ends fiscal year 2022 with a deficit, something that is clearly against PROMESA’s stated goal of achieving balanced budgets. The government projected an economic constraint of -11.2% (real GNP) for fiscal year 2018, and a projected improvement to 7.6%for fiscal year 2019.1 These projections are based on the assumption of federal recovery spending for the upcoming five years, starting with $11.6 billion for fiscal year 2018 and ending with $6.1 billion for fiscal years 2022, for a total of $35 billion for the five years covered by the plan. The plans projected a population decline of -7.7% for fiscal year 2018, and a five-year cumulative population decline of 19.4%. The projections of the fiscal plan assumed that Puerto Rico will get $35.3 billion from FEMA Public Assistance Program and $21.9 billion from private insurance and FEMA individual assistance for a total injection of $57.2 billion in recovery funds. The projected federal assistant figure is lower than the $94.4 billion previously Requested by Governor Ricardo Rosselló, which included $31.1 billion for damaged and destroyed buildings, structures, and equipment; $17.8 billion to repair the damaged utility infrastructure of the island; and $14.9 billion to repair, strengthen healthcare facilities, to bolster state emergency stockpiles, and to augment existing Medicaid program, among other things. One of the things mentioned in the plan is the creation of the Central Recovery and Reconstruction Office, which was created to provide oversight and financial controls during the rebuilding process. This office is under the Puerto Rico Public-Private Partnerships Authority (P3) authority of the government of Puerto Rico. Several reforms were proposed by the plan. One of them was the restructuring of the education system, which looked to save close to $303.4 million annually by FY 2022. The plan was to reduce schools, districts, and regions, and recently Governor Rosselló announced the implementation of charter schools and school vouchers to allow parents to decide which school they want their children to attend. The government also proposed reducing government agencies from 115 to 35, a projected saving of $1.2 billion. Government employees would be part of a Single-Employer Program or Voluntary Transition Program, which would have given them the opportunity to transfer to another agency. In an effort to decentralize government services, counties would have been created to provide services to the population that are now provided by state and municipal. The FOMB's biggest concerns with the fiscal plan presented by the government in January is that it does not provide enough details about the policies that will be implemented and that it is not enough to improve Puerto Rico’s economy. The FOMB recommended additional changes to the fiscal plan to reform the pension system, labor market, debt, and revenues. The FOMB asked the government to create an emergency reserve of $650 million for the next five years and $1.3 billion for the next ten years. The FOMB also proposed to implement measures to improve businesses development and the labor market in Puerto Rico. For example, the FOMB supports implementing a local Earned Income Tax Credit program and reforms to reduce the cost and risk of hiring new employees. Specifically, the FOMB proposes to implement an island-wide at-will employment jurisdiction, make the severance pay and Christmas bonus optional, reduce vacation and sick days, and in the case of welfare reform introduce a work requirement for able-bodied adults that are recipients of the Nutrition Assistance Program (NAP). The FOMB proposes to include an initiative to reduce youth unemployment and the transition into the workforce through the creation of a Youth Unemployment agency that will coordinate local market opportunities. The FOMB also proposed to reduce pension liabilities by moving to a “retirement plan which employee contributions are segregated in individually-owned and administered retirement accounts. "2 Any retiree with a combined pension and Social Security benefit over $1,000 per month their pension would be reduced by 25%, which will amount to a total pension reduction of roughly 10%. In addition, they propose to enroll in Social Security police, teachers, and judges under the age of 40. One of the most important proposals has to do with the creation of a strong and independent regulator for the energy sector. According to their plan, the entity will have at least three but preferably five commissioners who will have staggered 6-year terms, they will be selected by the Governor from a candidate list developed by an independent expert panel, and could only be removed by cause. The funding for this commission will come from a surcharge on electricity bill and will have the “authority to approve Integrated Resource Plan and rates charged by The Puerto Rico Electric Power Authority (PREPA), as well as determine whether utility operator has met requirements for operational performance incentives.”3 This is an important policy that complements governor Rosselló proposal to sell PREPA’s assets to the private sector. Finally, in the case of Puerto Rico’s debt, the FOMB requested to include a 30-year debt sustainability projections, with debt capacity information, and potential debt service. These are some of the major proposals that the FOMB presented to the government of Puerto Rico and that now should be included in the fiscal plan. The government has until February 12, 2018, to submit a revised fiscal plan for the FOMB to approve. The proposal for a strong and independent regulator for the energy sector has gained support in recent weeks, specifically after the announcement of privatizing PREPA. That entity will have the authority to protect consumers from price gouging and companies that do not provide efficient services. The most prominent concern about the fiscal plan is the reduction of labor rights and pension funds, which could increase inequality and poverty.